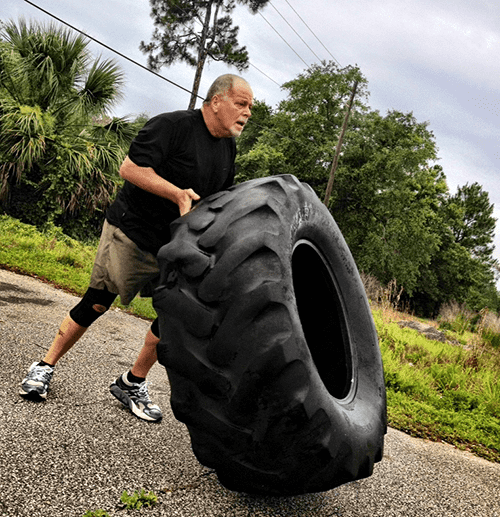 I started CrossFit in 2012, at the age of 66. 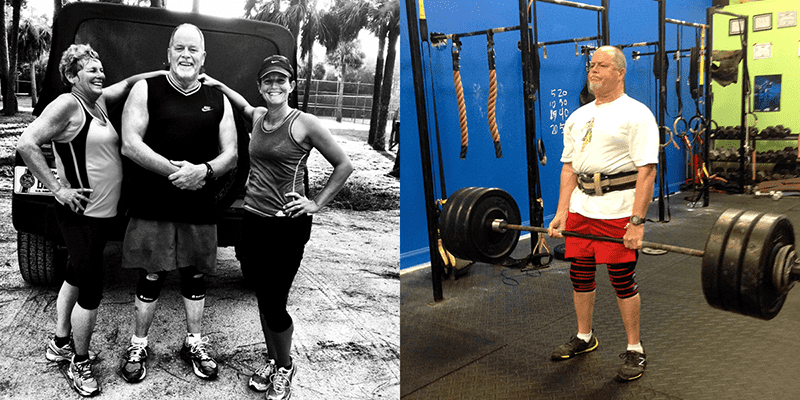 As a retired Army Officer, my background led me to become a Crossfit coach. 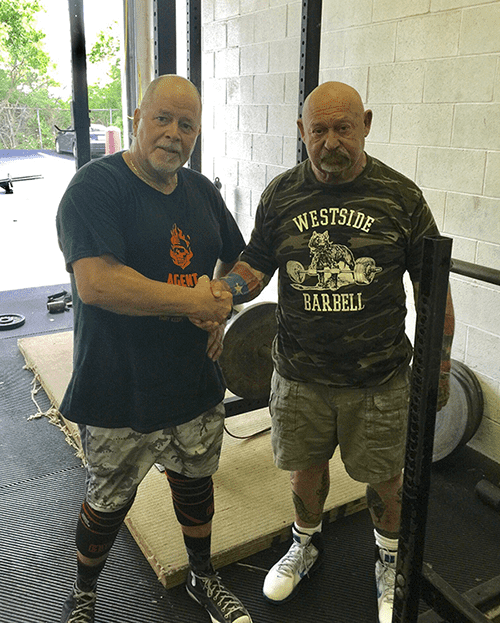 I got my L1 at age 67 and have since followed up with certifications in kettlebells and power lifting. As an older athlete, with multiple mobility/health issues (triple bypass open heart surgery, major shoulder rebuild, inoperable rotator cuff damage, hip replacement, knee replacement, both upper biceps detached), there are Crossfit movements that I cannot personally perform or demonstrate. My days of back flips, walking down the street on my hands, power lifting, and running marathons are well behind me. I often use experienced athletes and/or videos to demonstrate. However, my favorite method is to pick an inexperienced athlete and “talk them through” a movement. We then spend teaching time correcting the athlete’s skill, so everyone can learn together. Can I Trust you? Trust doesn’t happen the day they walk in the box, but the process does start then. Confidence in my coaching builds with time. Do you Care about me? Does the new, overweight athlete learn quickly that I care about them and their goals, every bit as much as the box competitive rock star? Can you Help me? This is all about competence. Do I take time to study each athlete’s form and technique every day? Are my cues effective? Do I read, study videos and pursue training seminars from credible sources? Am I current and relevant? Perfection is un-achievable and it is psychotic to chase it. I don’t coach an athlete to achieve “my” goal. I help them along to what “they” want to get out of it. I believe that the athlete is paying for – and deserves – a full hour of coaching effort. It’s my thought that the warm-up, skill practice, and strength work is equally important as the daily WOD. I let them know if I think they are cruising and “saving themselves” for a hot WOD time on the whiteboard! Even though there may be griping going on… it’s the good kind. Know the difference between your recreational Crossfitters and your gamers. Give gamers extra competition box time. If they ask for more, expect more from them. Help your athletes spend more time on their strengths than their weaknesses. Whoa! Did I just say that? So, CrossFit is a journey and it starts with the basics. Pull-ups, push-ups, sit-ups, squats, running, rowing. Then there’s the trickier Olympic and power lifts. On to “Murph” with a 20# vest, muscle-ups, handstand push-ups, pistol squat burpees over the bar… peg boards, etc. Don’t make every WOD one where the majority loses interest because they will never be in red and they feel disenfranchised. Face it, many will never get a muscle-up and that’s OK. Timing, rhythm, proper load and pacing holds it all together.